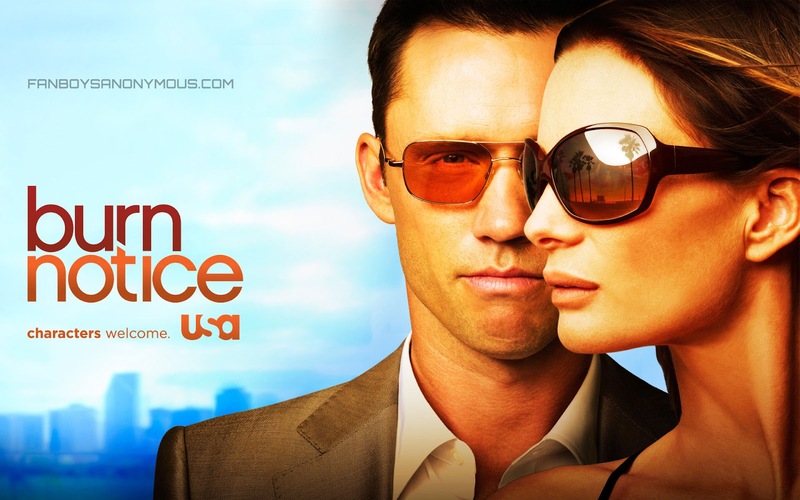 Burn Notice has come to an end with its series finale, entitled "Reckoning". Season 7's episode 13 will be the last one of the show as they are ending on their own terms. Once the episode airs, a complete review will be posted here. But for now, let's take a look back in a retrospective of the series in general. Burn Notice, created by Matt Nix, has essentially operated in a format where there are two plotlines in each episode: one overall arc for that season (or, the series in general) that deals with Michael Westen's burn notice itself and one weekly special case that the team takes in helping someone out. This episode seems to be combining these two into one, wherein Michael is actually the person who needs help from the rest of the gang in order to turn back to the good side and not join the crusade that James has warped his mind into believing. Supposedly, someone is going to die in this episode and while everything will be wrapped up, not everything is going to be just a bunch of smiles. In a series that kept a pretty humorous tone despite some bittersweet and sometimes flat out sad moments, I can't imagine we'll leave upset in the end. If someone is indeed going to die, it needs to be Michael's mother, Madeline. While I had previously tried to predict several times that Jesse would bite the dust, they've proven me wrong at every single opportunity. Madeline's death will hit Michael hard, but can you imagine them really killing off Fiona or Sam? I doubt it. Nor do I expect them to kill off Michael himself. That would be a bit too cliche and depressing. Madeline's death, however, could result in Michael and Fiona settling down to raise Charlie. After all, what's a better motivator to give up a life of danger than to raise a child with the woman/man that you love? I've been hoping for the longest time that in the end, our heroes would decide to run a private investigator service and still kind of operate jobs, but just on a less explosive scale, so I'd like to see that included in here as well. After the last episode, we were left wondering if Michael would side with Sonya or Fiona. Obviously, Michael sided with Fiona and shot Sonya to her death. James gets away and Michael is in shock, feeling guilty about what he did to the point where he even almost commits suicide (via saving Jesse and Sam in a situation that was too risky). The strawberry ice cream scene was one of my favorites, and I originally thought to myself "this is missing an 'I love you' moment for real". Thankfully, we got that later on with the phone call. Madeline didn't have to die, in my opinion. Nobody HAD to die. But out of everyone in the cast, it makes the most sense and I'm glad they didn't go with anyone else, despite how I kept thinking Jesse was doomed from the start. "Should we shoot them?" was a nice little reference to the beginning of the series. The same with "you know spies, a bunch of bitchy little girls". Michael and Fiona faking their deaths and going to Ireland to raise Charlie whilst setting up a potential spinoff for Jesse and Sam makes a lot of sense, and I'm glad that they acknowledged that they knew that Michael and Fiona were alive. I also liked the referencing of telling the story, as that could explain the narration. Overall, I think this ended things the way it should have ended, and as a fan of the show since the beginning, I'm happy with what it all boiled down to. Cheers, Burn Notice. Thanks for all the memories and congratulations on a great series! WHAT ARE YOUR THOUGHTS ON BURN NOTICE'S FINALE?